“Wherever our mission takes us, we try to have a little fun along the way.” CBS All Access just released a new trailer for season two of Star Trek: Discovery. The newest installment in the Star Trek franchise takes place 10 years before the original series and stars Jason Isaacs, Mary Wiseman, Sonequa Martin-Green, Rainn Wilson, Doug Jones, Anthony Rapp, Michelle Yeoh, and James Frain. Season two of Star Trek: Discovery is slated to premiere on CBS All Access in early 2019. SAN DIEGO, Calif. – July 20, 2018 – Today at Comic-Con International, “Star Trek” fans were provided a sneak peek at the highly anticipated season two premiere episode of STAR TREK: DISCOVERY during the series’ Hall H panel with cast and executive producers. The second season is slated to return to CBS All Access in early 2019. What do you think? 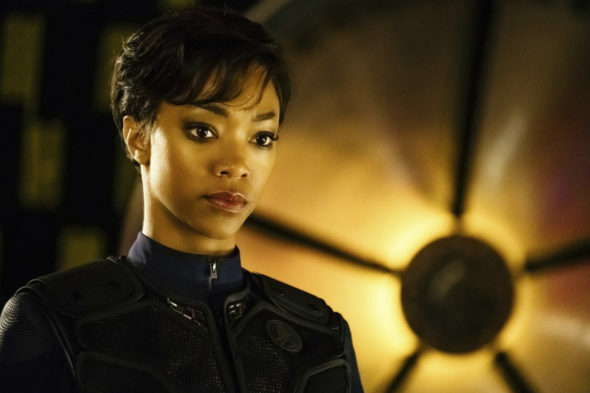 Are you a fan of Star Trek: Discovery? Are you excited for the new season? I think Gene would love this new ST show! So cancel Showtime for 60 days and get CBS, not that complicated.